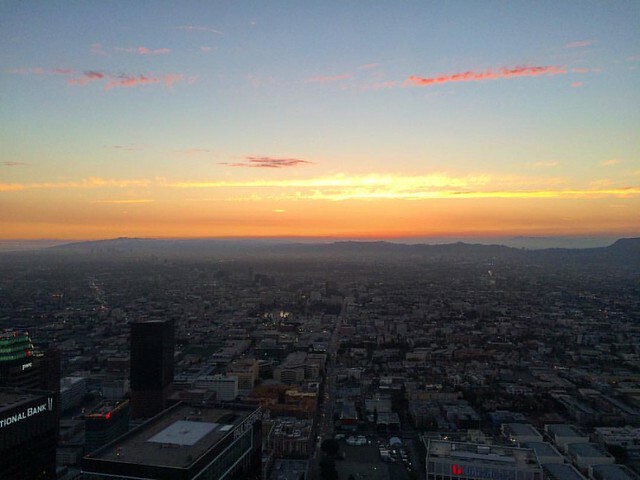 3 More Spots to Admire the Sunset in L.A. Please check our previous entry on this topic. The myths of the ancient Greeks tell that the Champs Elysees was considered to be a paradise where spring reigns. The park in the center of Los Angeles, named after them, really looks like an oasis in the stone jungles of the city. From its hills everyone can see how at sunset the silhouettes of skyscrapers stand out against the skyline. Come there shortly before sunset, take a walk and look at the daytime megalopolis, and as soon as it starts to get dark, prepare your camera and get ready to watch the orange sun gradually disappearing behind the skyscrapers. It’s as if the city is reviving again, preparing for the night time: multi-colored lights, signs and lights are on. You can see several flying aircraft and helicopters. Complete darkness gradually sets in, but the city doesn’t notice it, and still sparkles with bright lights, as if to say that life begins only at nightfall! For those who are looking for silence, Zuma Beach is a perfect place. It’s remarkable for the fact that you practically won’t find tourists there, and the local water is clearer and bluer. Therefore, if you’re tired of noise, then there’s an excellent and wild place for relaxing in Malibu. Of course, a delightful sunset is also at your disposal. 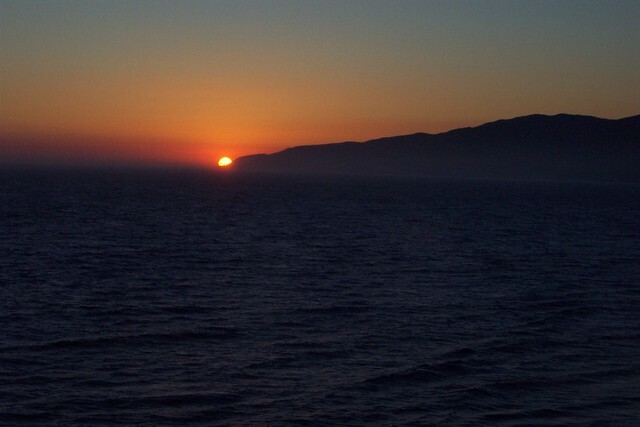 The fact is that when you meet the sunset on the beach in Santa Monica in the summer, the sun will go right over the mountain – this is also beautiful in its own way. However, if you enjoy this show on Zuma Beach, then before your eyes the fireball will go straight into the ocean. Your eyes will get a charming palette of colors – stunning beauty and the unity with nature. U.S. Bank Tower is the 3rd tallest building in all of California. On the upper floors there’s an excellent observation deck, which offers a panoramic view of the whole city. Perhaps, just like that you can watch the sunset at any point described above, but not here. Recently, a glass slide connecting the 70th and 69th floors was opened for everyone. The glass box is attached to the outside of the building, so during the descent you will feel that you are flying through the air! According to the opinions of many travelers, this is an ideal option adding a bit of exotic to the sunset meeting. 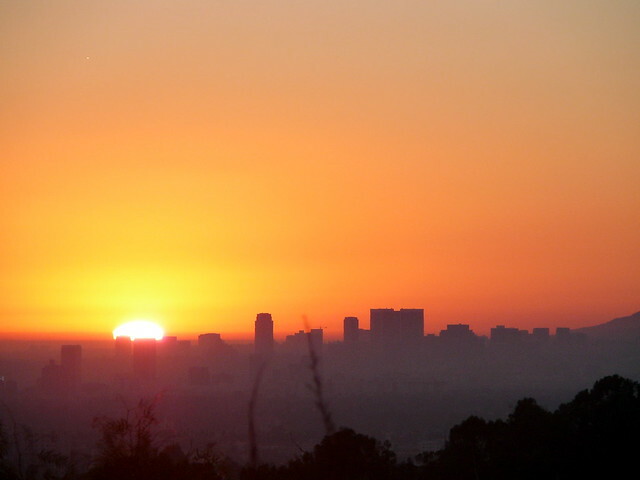 Going down the hill, you will get to a viewing platform from which you can admire the sunset.